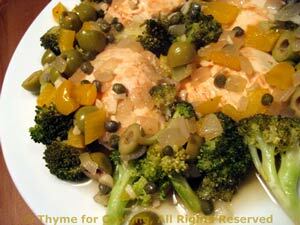 Chicken with Broccoli, from Thyme for Cooking's Weekly Menu Planner. 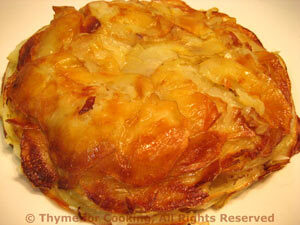 Finish the rest of the Pommes Anna with the chicken - an easy dinner. Reheat - either in the microwave or for 15 minutes in a 350F (180C) oven.